Whether one is flying across the Lacrosse field, or the other standing tall on the football field, my children are always on the go. From grueling practice schedules, special school events, driver's ed and special adventures, like Destination Imagination, and Honor Society projects, their weekdays are full from dawn to well past dusk. 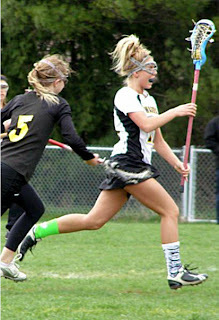 Keeping them fueled up, with enough energy to keep up with the demands of their favorite activities can be a challenge. A hearty breakfast and a solid lunch start them off, however, from after school to bed time, their meals are often light, portable fare. Too heavy and digestion slows them down; too involved and our carefully orchestrated schedule becomes out of sync. Rather than a large, sit down meal, they usually have a series of light snacks from afternoon and through the evening. To this end, my kitchen is stocked with nutritious, on the go snacks, like fresh fruit and veggies, yogurt, granola bars and oh, so portable fruit cups. If it's tasty and can be eaten on the way or tossed in a backpack or duffle bag, it's game for my team. Although these nutritious snacks are eaten on the fly, the kids still insist on products with great taste and plenty of variety; Mom insists on quality ingredients and budget-friendly prices. Between chauffeuring them about to their various activities, stopping by Walmart to stock of my pantry is a common occurrence. After noticing that my pantry supplies had dwindled precariously, tonight I made sure to stop off to replenish. As the leader of my son's Destination Imagination team and meetings both Tuesday and Thursday, a Monday night stop was in order. Cruising the fruit aisle, I found, not only family favorite, but something new, as well! Perfect for the season, Del Monte has introduced something new in their fruit cup line - Diced Peaches with Cinnamon and Brown Sugar! Perfect! I couldn't pass on the Del Monte Cherry Punch Fruit Chillers, either! With a bit of atypical free time on my hands before I was back on duty, I decided to save myself some valuable holiday time by grabbing some of the supplies I'll need for Thanksgiving. 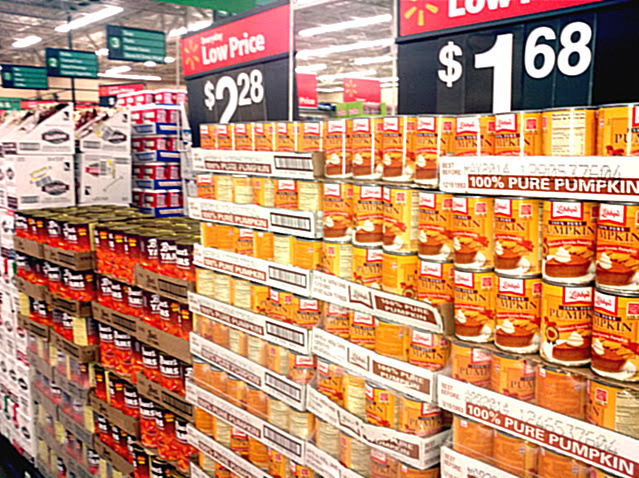 All the traditional fixings were easily accessible in mass displays, making my task simple and quick. With the festive decorations about the store and thoughts trending to the holidays, I had to take a stroll through the holiday aisle in the grocery department. 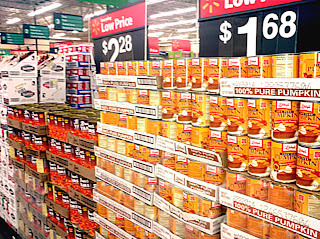 Over Halloween, I was so impressed with the seasonal selection, my interest was piqued. 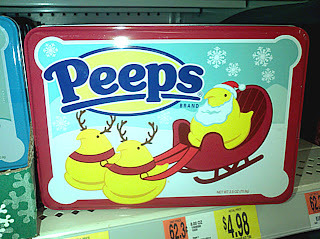 I also found the highly sought after Peeps! Thank goodness! At some point in the recently past, at no time near the Easter holiday, I had promised my young nephew I would find him some Peeps, a fact that, according to my sister, he was reminding her of regularly. Faced with the frightening prospect of trying to create homemade Peeps, I was beyond thrilled by my discovery. 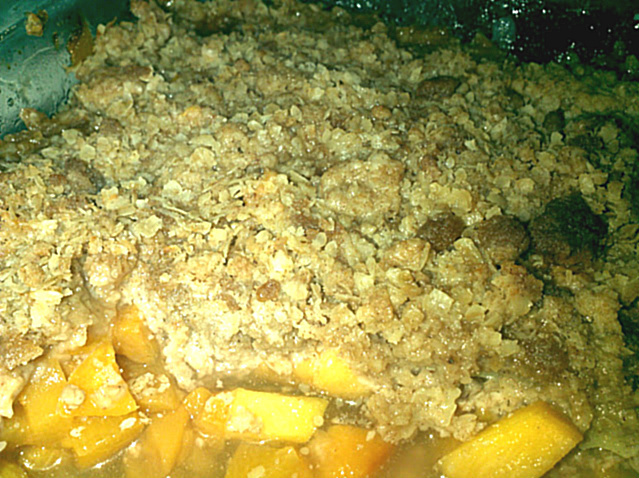 A quick, yet delicious seasonal treat for the whole family, and plenty of Del Monte Diced Peaches with Cinnamon and Brown Sugar cups in the pantry to quick fuel for the days ahead. 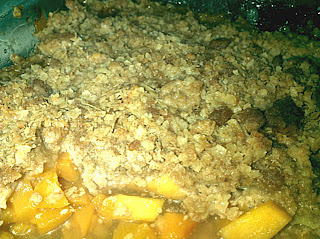 Although we "wing" making fruit crisp, please view easy Peach Crisp recipe. 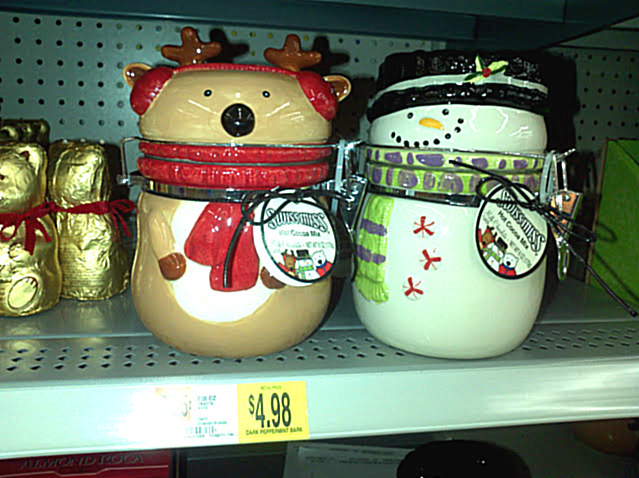 Please feel welcome to view my full pictoral shopping trip. What are your family's weekdays like? What kind of activities do you and your family members participate in? 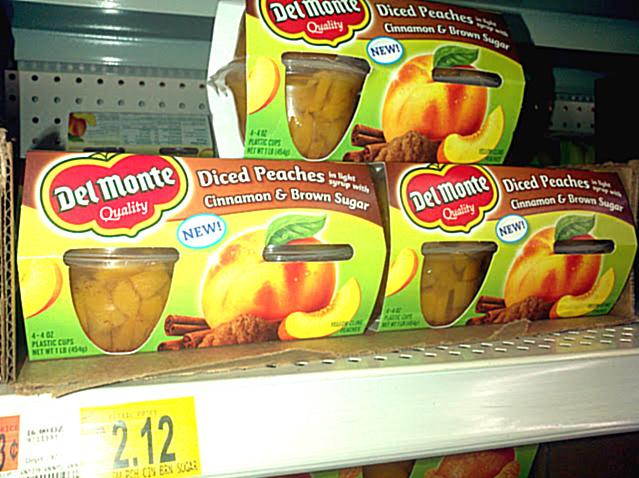 What are your family's favorite #DelMonte products? I'd love for you to share your great tips for keeping your busy family fueled up in a comment below! This shop has been compensated as part of a social shopper insights study for Collective Bias. #CBias. The opinions and experiences above are both honest and my own. Are weekdays are pretty average. 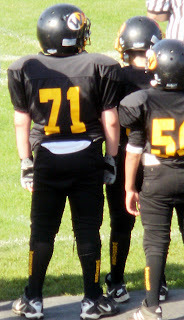 My three boys however seem to be always eating! Del Monte fruit cups are a snack I don't feel bad about giving them. I haven't seen the Fruit Chills those look great!! The kids would LOVE them. We keep Del Monte on hand ALWAYS. Ms. Ma'am would have a hissy if I let her run out. 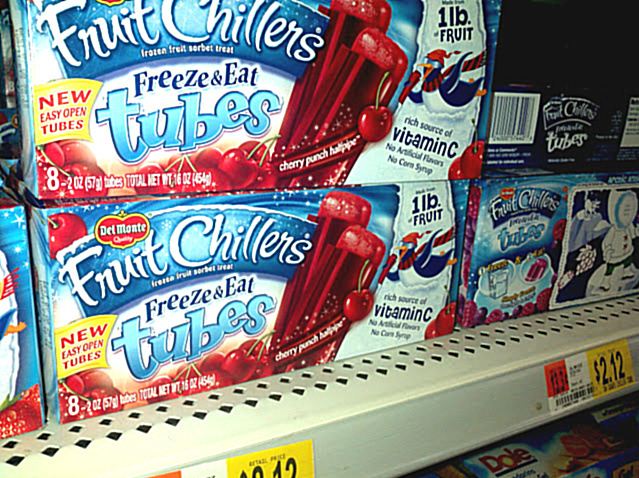 I like the fruit cups myself and the kids love the chillers. It's like a guilt free popsicle. Oh the kids on the go, mine still are at 27, 23 and 21 :-) Great post. That looks really good - I can almost smell it. 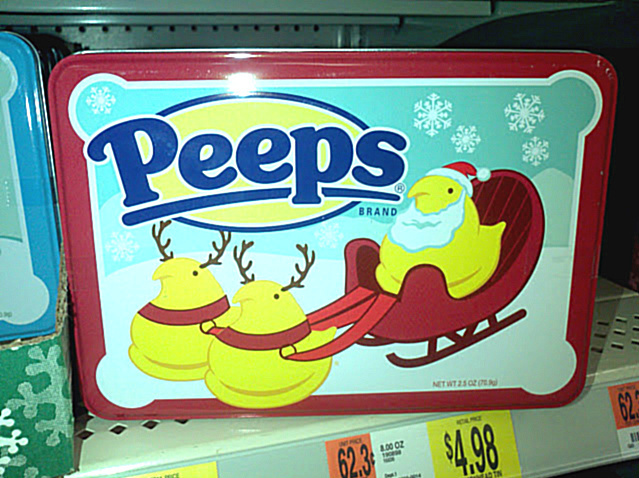 Those christmas peeps are too cute!!! I love Del Monte! I buy it all the time for my girls. My weekdays are typical. My girls are not into any sports...They are really too young to be all into it. But you have some great tips for when they do! I really like your pictures. Fall and winter are our downtime as far as activities other than scouts BUT fruit cups are still purchased nearly every shopping trip. They are great to keep in the fridge with a toddler and at will hungry children in the house.